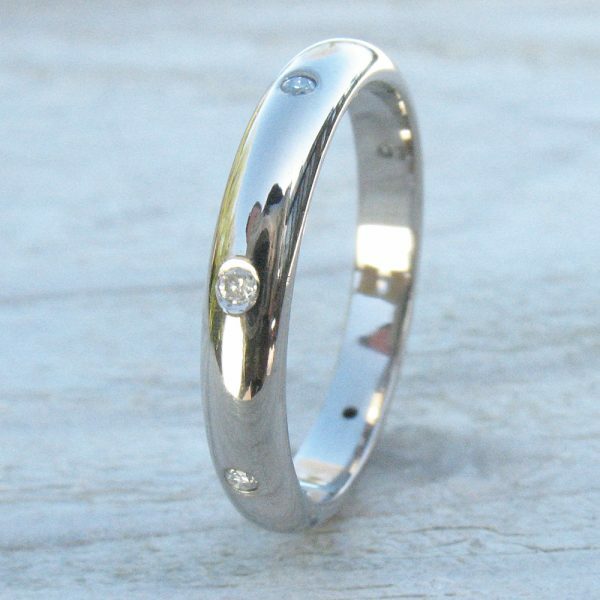 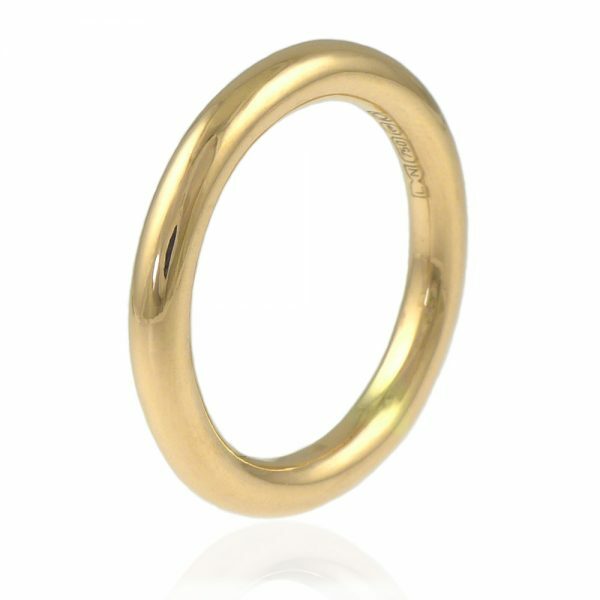 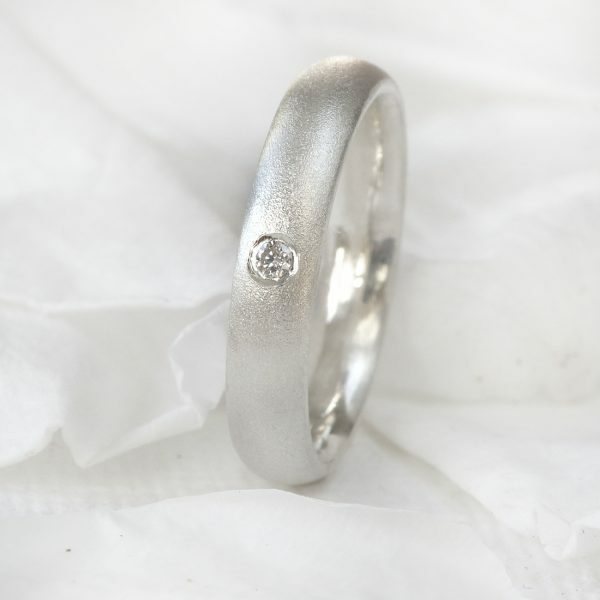 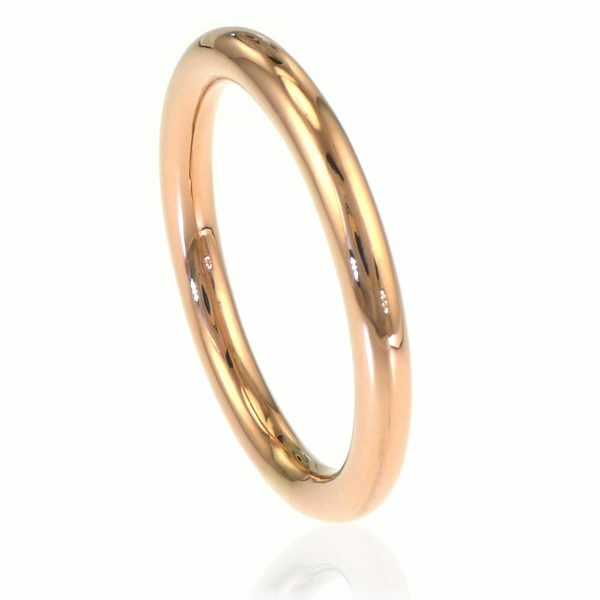 A slimline 2mm wedding ring in your choice of 18ct gold, rose gold, white gold or platinum. 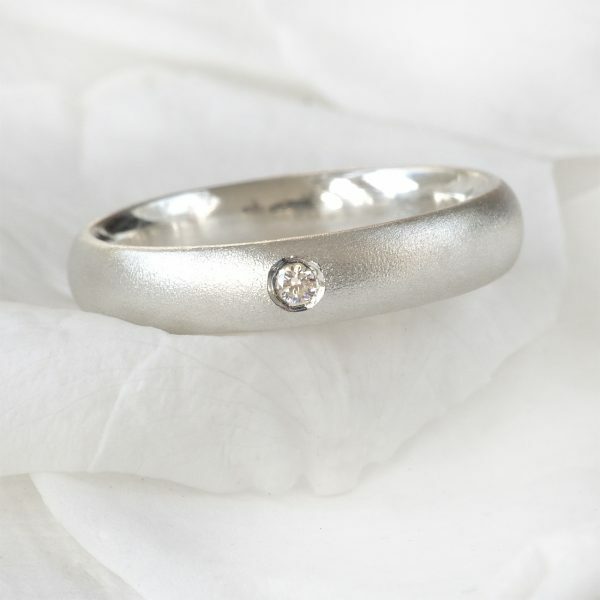 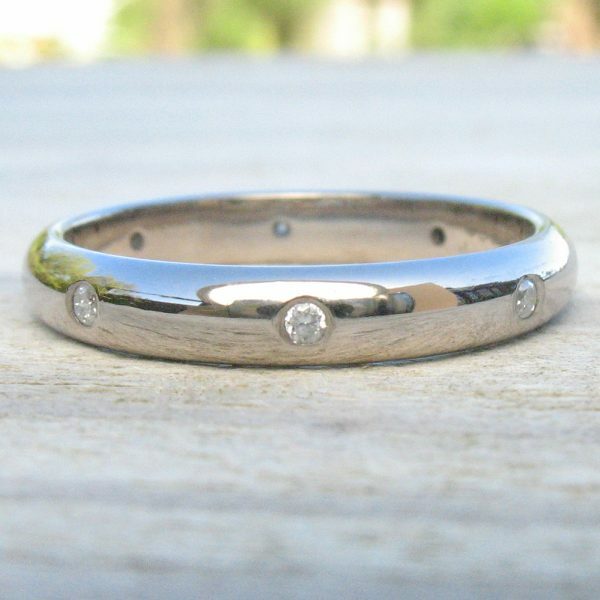 This handmade ring is hand formed in a half-round (D shape) and has a matte, hammered texture. 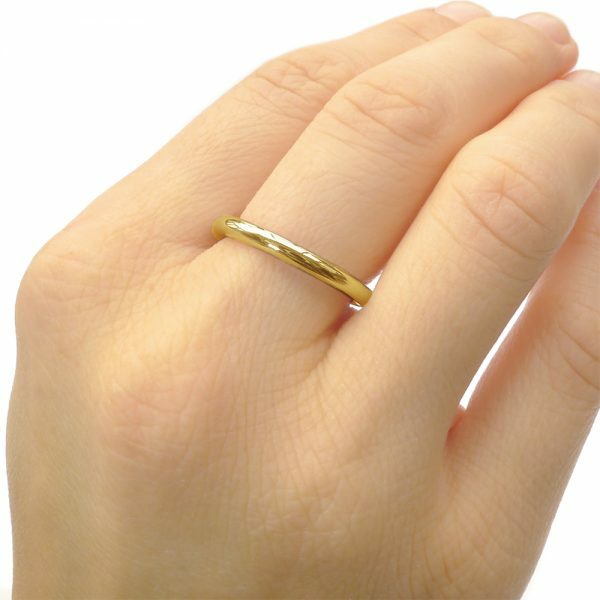 Choose between sizes G – Z 1/2 and Lilia will make your new wedding ring to order, with dispatch between 6 and 8 weeks after the order date. 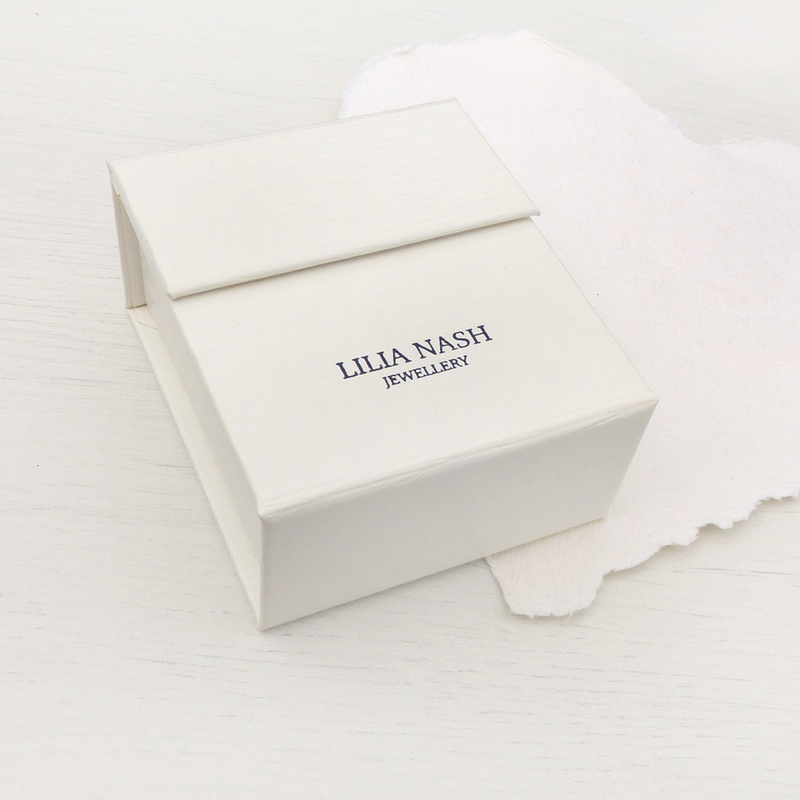 All Lilia Nash wedding rings are hallmarked by the Birmingham Assay Office and come presented in a ring box. 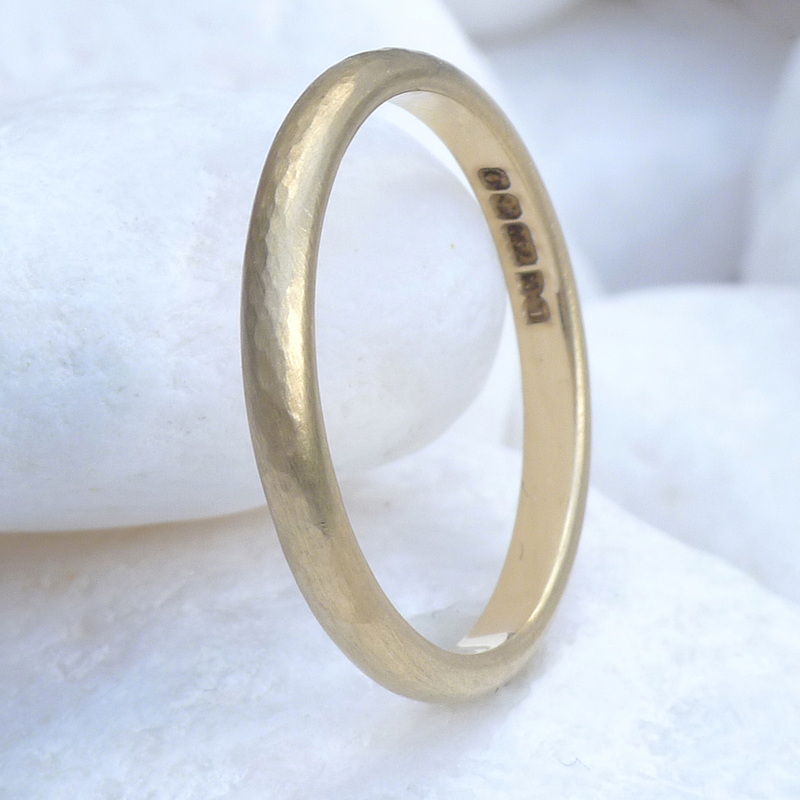 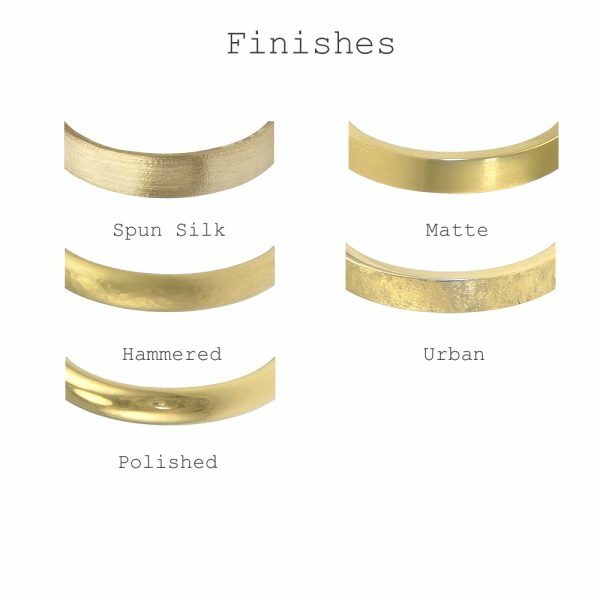 Handcrafted by Lilia Nash in her signature hammered finish, this 2mm, half round wedding ring is available in your choice of the finest ethical recycled 18ct gold or platinum.